Categories: Food Supplements, Marinox Premium. Our bodies are unable to produce Omega-3 polyunsaturated fatty acids and therefore they have to be provided in sufficient amounts through a well-balanced nutrition. However, eating fish several times each week is not always possible or desired. 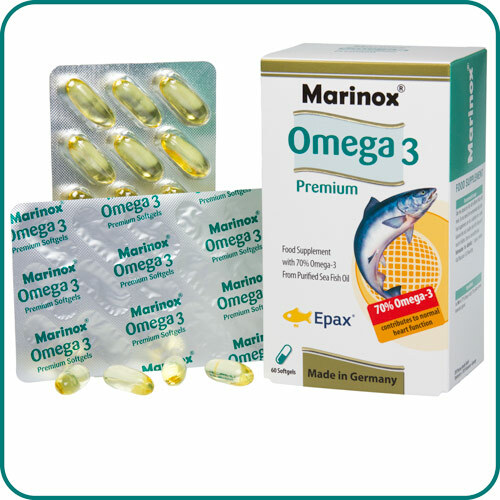 Taking only one Marinox® Omega-3 1000mg Sea Fish Oil Premium capsule each day containing the highly purified and highly concentrated sea fish oil with 70% Omega-3 fatty acids ensures adequate supply of these essential nutrients with EPA and DHA, which contribute to a normal function of the heart. 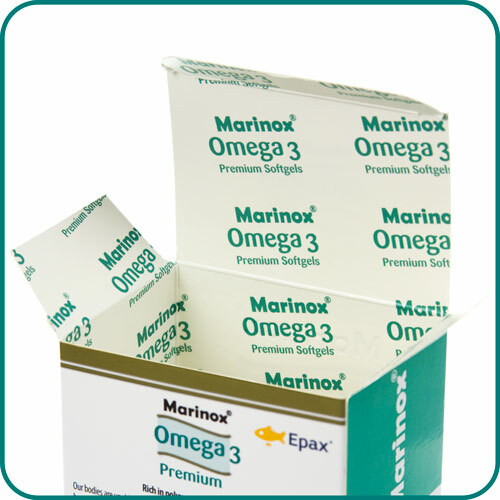 * Marinox® Omega-3 1000mg Sea Fish Oil Premium is especially recommended in older age and for pregnant and breast-feeding women. *A beneficial effect is obtained with a daily intake of 250mg EPA and DHA. Free from artificial colours and preservatives. 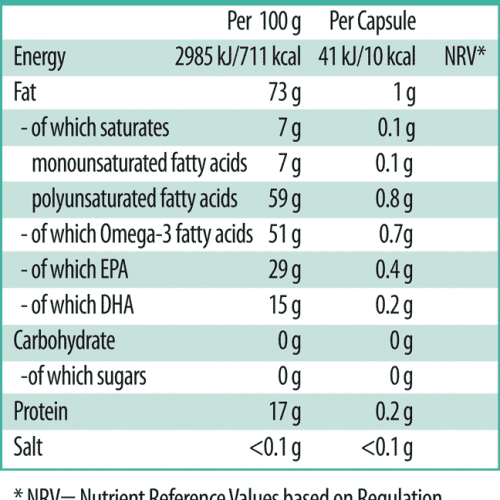 Sea fish oil (70 % Omega-3 acids) 73%, gelatine (bovine), humectant: glycerol. 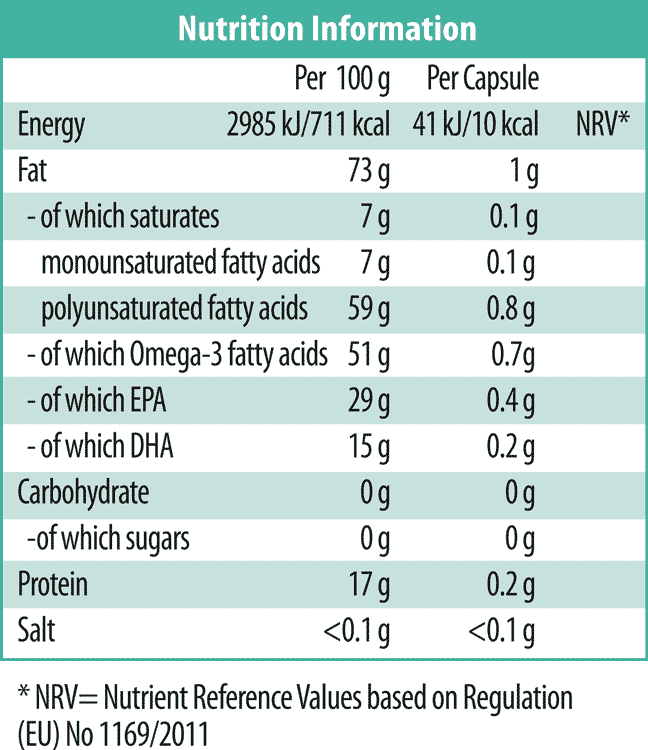 1 capsule provides 41kJ/10kcal and <0.01 bread units (BU).